Hi friends! It’s #MarriageModay ! If you’re wondering what this is all about, check out my first Marriage Monday post, which you can find on blog. Marriage is truly so incredible. I mean, it’s two people who know each other unlike anyone else. …..Which sometimes isn’t always pretty. In marriage, you’re dealing with another flawed human being, just like yourself. Who also, more often than not, tends to be naturally selfish. Yep, marriage is incredible. People think of it as such an ugly word, but it doesn’t necessarily have to be. Naturally, you have probably already recognized all of your spouses flaws. And their flaws can sometimes be rather annoying. However, I hate to be the bearer of bad news – but your flaws are rather annoying, too. But even still, they choose you everyday and you choose them! In the first couple months of my marriage, my husband’s flaws drove me insane. (I mean really, how hard is it to close the shower curtain when you step out of the shower?!) I spent so much time repeatedly nagging about this small flaw, that I hadn’t even recognized that I, too, had a similar flaw. One particular night, Kris showered, walked out of the bathroom, and prepared to lay down for bed. Dramatically, I slid the shower curtain closed, quickly following the sound of metals scraping with a loud “mutter”. I probably continued my fit by stomping down the stairs only to realize that the entry way, that had been previously covered with my shoes, had been organized. It immediately dawned on me that I constantly leave my shoes piled by the front door weekly. And every week, my saint of a husband, picks them up and puts them in our room without ever saying a word. So, I will leave you with this, is shutting the shower curtain or putting his clothes that he has sitting next to the hamper, in the hamper, or [insert the annoying thing your spouse does here] worth a grumble? I would love to hear about the silly flaw that annoys you, or your flaw that you know can be annoying! Every Monday (at least hopefully for the most part) I want to dedicate to talking about MARRIAGE! I tried this once before, but I am not letting blogging defeat me this time! Most blogs shown will be all about weddings, but I LOVE talking about marriage. The good, the bad, and the stuff no-one likes to talk about. Wedding days are incredible. Two people, so in love, that are ready to become one and take on the world together! Joy overpowers anything that could potentially go wrong and I love being a part of so many annually! But, what happens when that new thrill of that new marriage is no longer… new? While the wedding is so important, isn’t the marriage what really matters after-all? The wedding day is simply that, ONE day! Marriage is a lifetime and, as an entirety, should be even more incredible than the wedding day ever was. (Because let’s face it, not every day is going to be wedding bells and sweet smiles – it could be more like screams and ugly crying.) BUT, as a whole, it should be so much better as you continue growing together every year and reaching new milestones together. I know I get it, I’m 25 and have been married for 4 years. What do I know about marriage? Well, not nearly as much as someone who is 65, married for 40 plus years. But as the saying goes, “You learn something new everyday” – I’d say that is 1,460 new things I have learned. Because no doubt – I have certainly learned something new with marriage every.single.day. In no way would I consider myself an expert on this topic. Actually, majority of these blogs will most likely be about how I failed! But, I always try to grow from it. Key word – try. And hopefully sprinkled in will be a few that I succeeded in. LOL! But really, we all could use some encouragement in our marriage (young or ….seasoned) and it is my goal to listen to my own advice and implement everything I blog. I am truly looking forward to this new topic and hope that this will not only be fun for married couples, but single or dating, too! With that being said, check back in next Monday to see my first official post! Chelsea and Syd’s story started only a few years after they were born! Chelsea first met Syd when he moved to Kouts in kindergarten. She was already best friends with Syd’s cousin and the three of them joined T-Ball together that year. However, it was short-lived because Syd soon moved away for a few years. He did eventually move back to Kouts and they happened to graduate together. Yet, this still wasn’t where their story officially started! Syd joined the marines with his best friends immediately following high school. A few years in, Syd was deployed in Japan and Chelsea happened to be working a night shift and randomly saw that Syd was posting on Snapchat (Thank God for Snapchat, right??) Chels reached out to Syd and they have talked every day since! Syd’s sweet Papa officiated their wedding and shared such special stories of Syd, Chelsea, and the two of them. Both Syd’s side, as well as Chelsea’s side, reiterated the same story of a specific time when they knew these two had something incredibly special. It was in June of 2016 that Chelsea’s family was going on vacation to St. Petersburg and it just so happened that the very same week, Syd was going to be on leave visiting his grandparents in Orlando. Which meant that Syd certainly spent part of his week in St Pete’s, thanks to his sweet Papa for making that 2.5 hour drive. I loved how Syd’s Papa tells the story about how he quickly realized Syd was not going to visit some marine buddies, as he had first assumed, but someone much more special. I’m not sure if I have ever heard of a love story that had so many “coincidences”. God was certainly making sure that these two ended up together. These two have had quite the journey and their wedding day was finally here. While neither of them seemed too nervous during the morning of their big day, they each seemed even more comfortable the moment they were together. Which makes so much sense, considering the length of their relationship! And if either of them were dealing with any hidden nerves, it definitely was not about seeing each other – only about having everyone’s eyes on them for the night! These two had so many sweet touches to their wedding day – Syd’s ring hand made by his Papa, a photo of them in their T-Ball days, Chelsea’s wearing her Mom’s veil, and the sweetest vows which were the same vows that Syd’s grandparents said 49 years ago! We loved meeting Syd and Chels at their engagement session and had so much fun with them. We had been looking forward to their wedding day ever since and it was perfect! Oh, and they had the best vendor line up – ever. Mr and Mrs Robertson, we could go on and on about you guys – but truly thank you so much for allowing us to be a part of your big day. Basically, with every picture I edited while looking out my window as snow is coming down, I wanted to be back in the perfect Jamaica weather. Not only was the weather perfect, but Demi and Josh’s entire day was! Both of them are incredibly chill, down to earth people. Originally, I was only going to do their engagement session (Thanks to their best friends Katlin and Scott who’s wedding I am also photographing) and before their engagement session date she reached out asking if we would be “willing” to go to Jamaica for their wedding. UMM. Yes! So we had a ton of fun during their E-Session and had been anxiously awaiting their big day since! We had so much fun with their group and loved meeting those that mean most to Josh and Demi. One of my favorite things about a destination wedding, is that is it never overwhelming. The bride and groom get to enjoy their wedding day (more like week) with their closest friends and family with no rush and without having to entertain and greet a couple hundred people. Their wedding day started and ended so beautifully and so perfectly simple. They were totally fine with whatever and wherever I wanted to take them and do with them for their session time (always my favorite thing to hear) and wasn’t worried about how much time I took with them (which allows me be most creative) . So, like I already said above, their day was perfect! Demi and Josh, thank you so much for believing in us enough to fly us down to Jamaica with you to capture your big day. 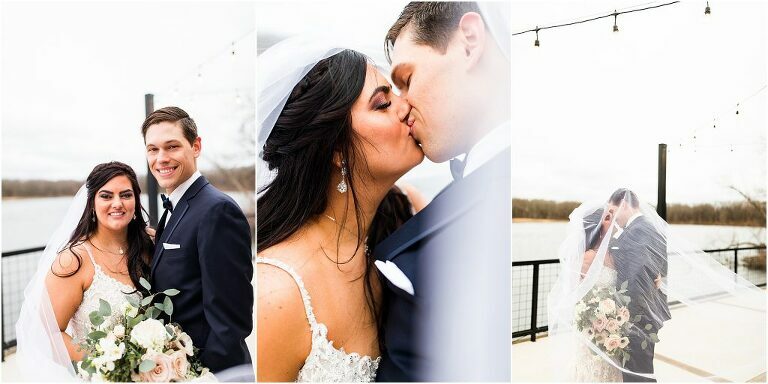 We hope you love our very favorite images of your day with so many more to come! The Payme weding kickstarted our 2019 wedding season. And we truly had so much fun getting to know these two. We first met Payton and Amy during their downtown engagement session. We became so excited to capture their big day as we learned more about them and saw how sweet they are individually and together! Their wedding day started out completely calm and peaceful, and that is how the entire day went! They were so excited to be married! They both work at their church and Payton also actually works for 27 Entertainment shooting video when he can. While working for another creative is always somewhat nerve-wracking – it is also so honoring! We were thrilled when we found out that he is a videographer. It was even more clear that Amy and Payton are great people upon meeting their wedding party. Their entire wedding party was so cooperative and just happy the entire day. They definitely made sure to do everything they could to ensure this wedding day went smooth. The speeches were so sweet and equally funny. It is very obvious that they have a great group of people supporting them, always. We are truly so thankful to have gotten to know this beautiful couple. Mr and Mrs Gessel, we hope your wedding day was all you were hoping for and more. And we hope Maui was just as wonderful!! Enjoy these sneaks!! 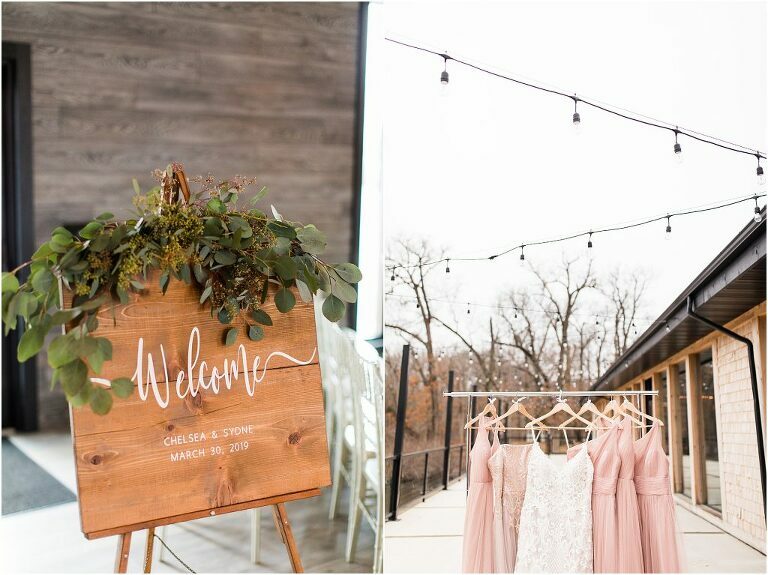 We had yet to shoot a wedding at the County Line Orchard, so our exciting was definitely building up as the day grew closer. It definitely met all of our expectations and more! Shelby and Daniel did not get the outdoor ceremony they were hoping for due to rain and low temps, but the Orchard still made their ceremony picture perfect. Shelby and Daniel are both so incredibly sweet. Their day was filled with so many details but their main excitement was finally getting to see one another for the first time. They sweetly read their vows to just one another and shed several tears as they talked about the day they met, their precious little girl, and that the day had finally come. It was such an honor getting to know these two and celebrating their big day. Congratulations Mr and Mrs Sullivan! Jay and Brittney have some of the greatest people surrounding and supporting them. Which came as no shock to us because both Jay and Brittney are two of the most down to earth and wonderful people we have ever met. So obviously, we had such a great day celebrating their day with them! We had the privilege of getting to know them pretty well during the engagement session and we have randomly ran in to them at different places at least 4 times leading up to their wedding day lol! So, Brittney and Jay, it is clear that we adore you guys! Thank you for letting us be a part of your special day. Enjoy all these sneaks! We originally met Nick and Autumn through my grandparents who work with Nick and was able to get to know them a little bit better when Kris began working there as well. But it wasn’t until wedding planning when we got to know Autumn and Nick even better! (Well, at least for Autumn and I – I’m sure the guys probably got to know one another better through working) But it was such a joy getting to know them and ultimately becoming friends!! We had been anticipating their wedding day since they asked us to photograph it. And while it may have been super windy and on the frigid side, it was so incredibly beautiful! AND the rain completely held off for all of their portrait time! From the moment we arrived letting them know we were there and until we said our goodbyes, they were smiling from ear to ear. Especially when it came down to finally seeing one another on their big day and exchanging presents! Their day was so incredible. And it was an honor to be a part of it. Congratulations Mr and MRS Stack!! We hope you enjoy all of these sneaks while you wait for your entire gallery to be finished! !